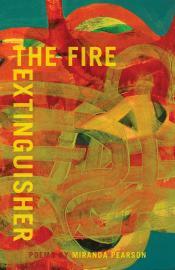 Miranda Pearson’s exquisite poems in The Fire Extinguisher reveal the human psyche in ways that are both painstakingly beautiful and generous. No detail is too small to find a place in her constantly shifting vision. Threaded through with natural imagery—fire, the sea, animals and plants—alongside many references to visual art, these poems ask brave and difficult questions: how do we find a balancing place between peril and safety, can we endeavour to live in the contemporary world with compassion and hope, how do we live with uncertainty? ~ Candace Fertile (on Harbour - The Malahat Review).